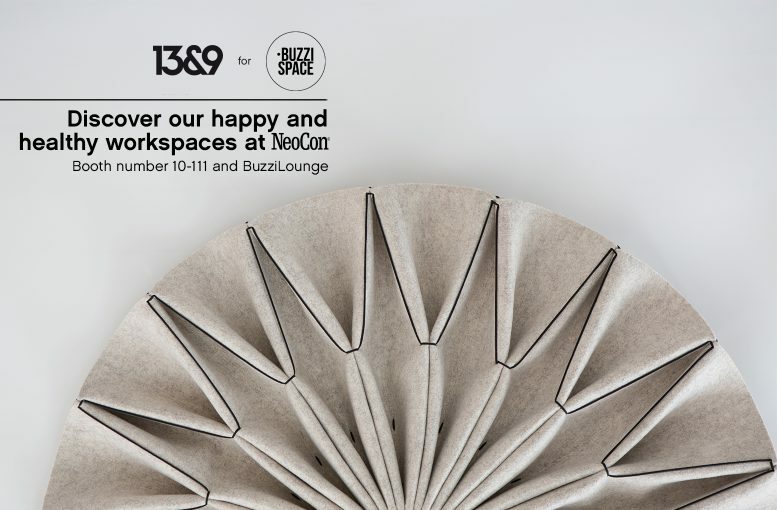 BuzziSpace expands its range of acoustic solutions with the introduction of BuzziPleat. 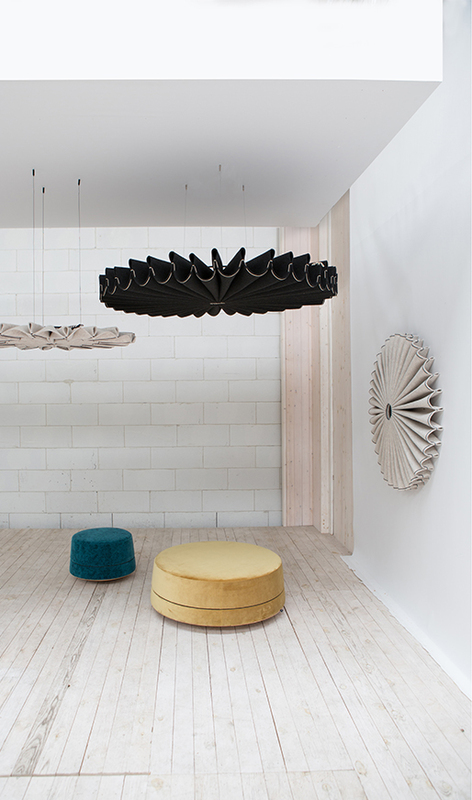 Designed by 13&9, the collection blends beauty and performance into an adaptable collection of wall and hanging pendants. 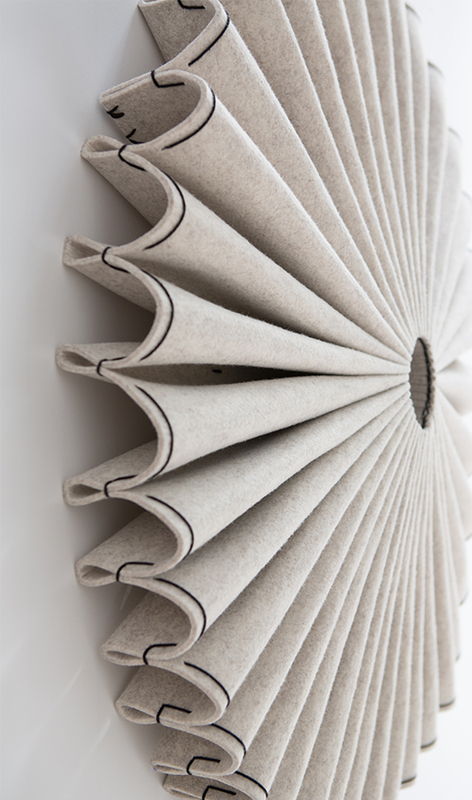 The BuzziPleat series reinterprets ancient techniques used in fashion design, like smocking and pleating, to create large-scale, yet lightweight sculptural forms, made of sound-absorbing BuzziFelt. 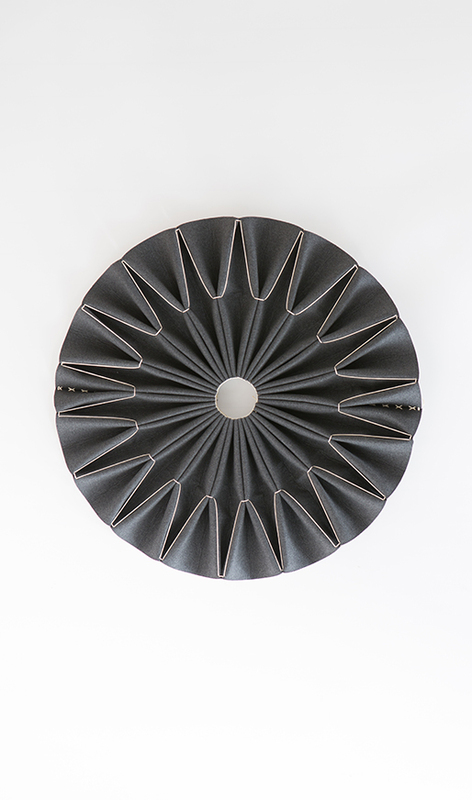 Architectural folds maximize surface area, delivering exceptional acoustic performance. The traditional craft of hand pleating – the principle of gathering up volume, then reining it in – is applied to freely construct a complex architectural form, constructed together with fashion designer Sabrina Stadlober at 13&9’s innovation lab.